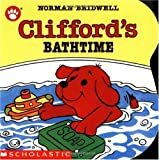 A small red puppy doesn’t want to take a bath, but finds it very enjoyable after all. On board pages. This entry was written by saurabh, posted on March 17, 2011 at 6:26 am, filed under Baby-3 and tagged Animals, Cartwheel, Children's Literature Guides, Classics, Diet & Nutrition, Diseases, Health, Literary Criticism & Collections, Maturing, Norman Bridwell, Personal Hygiene, Poetry, Safety, Science, Nature & How It Works, Sexuality, Short Story Collections, Toilet Training. Bookmark the permalink. Follow any comments here with the RSS feed for this post. Trackbacks are closed, but you can post a comment.